In an article for FGInsight, Defra Secretary Liz Truss outlines the Government’s ambitions for the food and farming industry, starting with the release of 8,000 data sets that could benefit the industry. No one produces higher-quality, more delicious food than Britain does and this government is as ambitious as Britain’s farmers are about its potential. Last week I unveiled our government’s vision for the future of farming, food and the environment in a speech in the heart of London’s Tech City. I chose that location because I want to see businesses in the countryside have the same access to technology and opportunities as those in the city. I want to see us move from Tech City to Tech Country. My mission is to unleash the talents of all the people who work in farming and food so they can bring new business, jobs and prosperity for the benefit of the countryside and the whole British economy. We have started work on putting this into practice. We are releasing 8,000 sets of data, much of which lies hidden away. Farmers will be among the groups who benefit most directly from this data, which covers everything from detailed local flood mapping to field-level soil information. Farming is an increasingly high-tech business, with hands-free tractors and precision use of chemicals and water becoming ever-more common. It is going to be a profession that attracts some of our most skilled and ambitious school-leavers and graduates. We are backing exports by opening more new overseas markets for our farmers and food manufacturers. This week I’ve been travelling around the country meeting those on the frontline of our food revolution. At Cranswick in Hull I saw one of Britain’s great food export success stories in action. Every week, it sells an impressive 750 tons of products made from superb British pork to mainland China alone. I also opened a high-tech new production line at the Mr Kipling Bakery in Barnsley, where they buy 70% of their ingredients from British farmers. That is a tremendous vote of confidence in British farming and also a reminder of how much everyone along the food chain depends on one another. Food manufacturers buy two thirds of everything produced on British farms. To lead the world, our food businesses – whether they are farmers, manufacturers, retailers or researchers – need to work ever more closely together. That is the thinking behind the new food zones being established around the country. These Food Enterprise Zones will bring together businesses right along the supply chain from field to fork so they can improve efficiency and inspire each other with great ideas. I was also delighted to host leaders from all 17 FEZs at Defra for the first time – building work should begin early next year and between them they are expected to bring more than 10,000 jobs to food and farming. They span the country from Cornwall to Melton Mowbray in Leicestershire and the Eden Valley in Cumbria. The zones bring changes to planning rules that make it easier for farmers and food producers to set up and expand. They are going to be launchpads for entrepreneurs as well as showcases for our great local and county foods. In the South Downs, for example, the zones will make it easier for dairy farmers to convert buildings into artisan cheese and yoghurt workshops and farm shops. This is an important reminder that today entrepreneurship and prosperity go hand in hand with a beautiful natural environment, in this case a national park. Farmers show great skill at combining successful businesses with keeping our countryside beautiful and healthy. On my visit to the Norfolk Show, I launched our new Countryside Stewardship Scheme, which will provide £900m to farmers, landowners and foresters for improving the natural environment. This includes the first scheme dedicated to helping bees and other pollinating insects to flourish. Farming and food production is the heart of the countryside, bringing new jobs and prosperity to ensure it remains a thriving, beautiful place where working people want to live and bring up their families. The future for food and farming in this country has never looked more exciting. 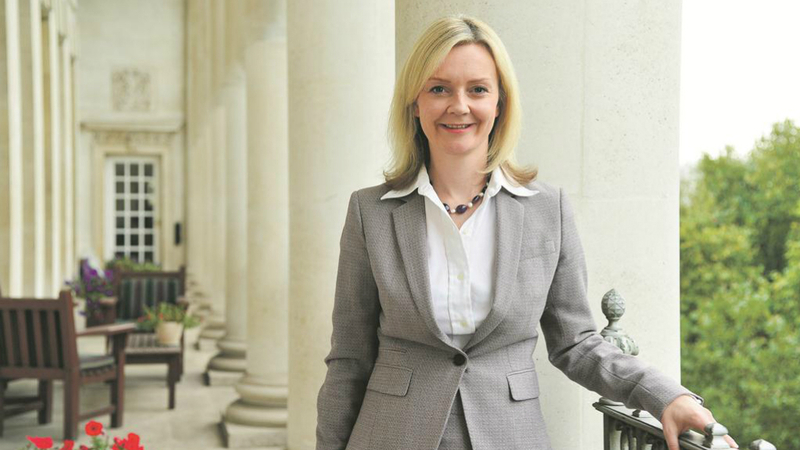 Liz Truss interview: "I am committed to doing whatever it takes to get rid of bovine TB"